Selah has waited her whole life for a happily ever after. As the only daughter of the leader of Potomac, she knows her duty is to find the perfect match. 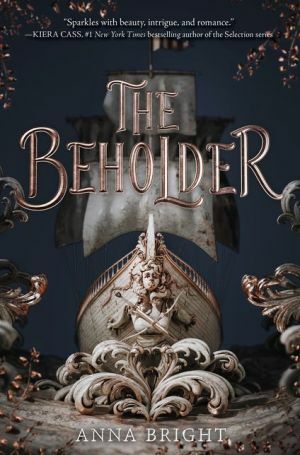 But after an excruciatingly public rejection, Selah’s stepmother suggests an unthinkable solution: Selah must set sail across the Atlantic to visit a series of potential suitors—and if she doesn’t come home engaged, she shouldn’t come home at all. From the gardens of England to the fjords of Norge, Selah’s quest will be the journey of a lifetime. But her stepmother’s schemes aren’t the only secrets hiding belowdecks…and the stakes of her voyage may be higher than any happy ending. Lush landscapes, dazzling romance, and captivating intrigue await in this stunning alternate historical YA debut—perfect for fans of The Selection or Caraval.